In medium bowl, stir Muffin Mix, milk, oil and eggs just until blended. 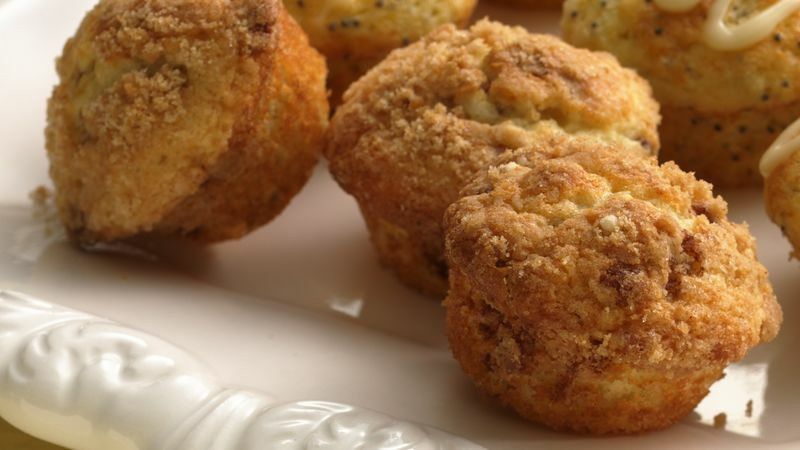 Spoon about 1 tablespoonful batter into each muffin cup so cups are about two-thirds full. Sprinkle Streusel over batter in each cup. Bake 11 to 13 minutes or until golden brown and tops spring back when lightly touched. Cool 3 to 4 minutes; remove from pan. End up with empty cups in your pan? If you've greased them, fill the empty ones half full with water. It will keep the grease from burning, and all the cups will bake more evenly.